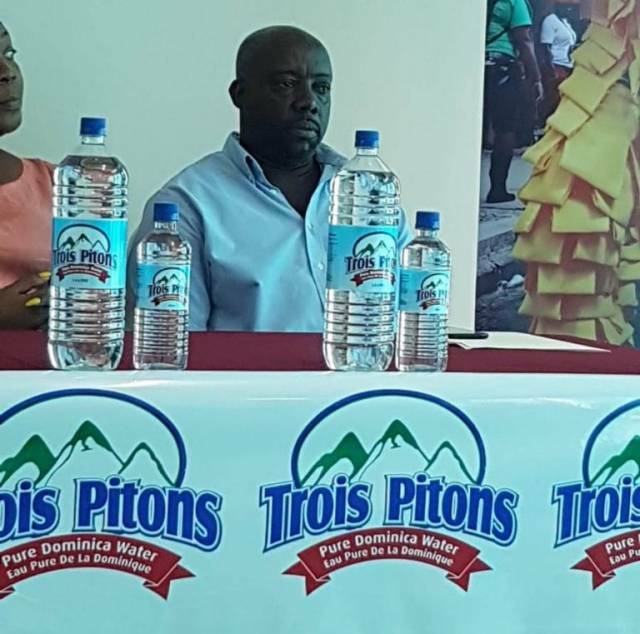 Trois Pitons Water Introduced As The Official Water For Carnival 2019. Josephine Gabriel & Co.Ltd has formerly branded Trois Pitons Water as Carnival 2019’s Official water. Sales and Marketing Assistant at Josephine Gabriel and Company Limited, Gerard George spoke at the DFC press conference on Wednesday 6th February and expressed the company’s contribution to Dominica’s carnival 2019. “We are also sponsors of the Signal Band, Amnesia Band and Hysteria Band and we will continue to sponsor the Calypso Junior Monarch Association” George stated. He additionally mentioned that the Josephine Gabriel is the only beverage sponsor for the Dominica Calypso Association at the Stardom Tent, through its flagship brands, Heineken and Coca Cola. According to Mr. Gerard George, Josephine Gabriel &Co.Ltd has signed Bouyon artist, Asa Bantan as its brand ambassador for 2019, effective February 1st 2019.